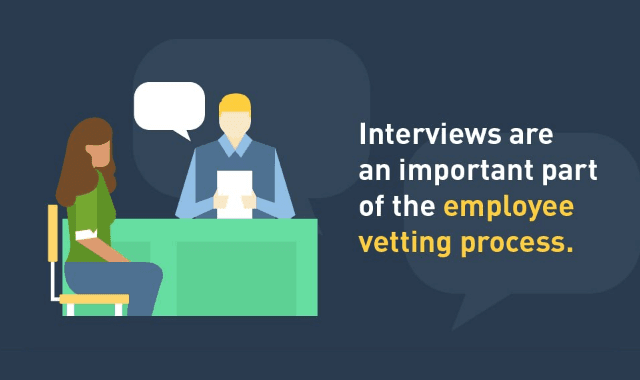 Interviews Are An Important Part Of The Employee Vetting Process #Infographic ~ Visualistan '+g+"
If a recruiter is on the fence about whether a candidate could be a good fit for a role, they rely on asking the right questions during the interview process. Going past the basic interview questions, such as “What was your biggest failure and how did you overcome it?”, these more in-depth questions can give interviewers a better idea of how the candidate will react under pressure or in certain situations. Recruiters ask questions that delve into the company’s core values and specific needs, as well as the candidate’s priorities for their career and work. Jeff Haden recommends asking questions like, “What things do you not like to do?” as a way to gauge if they would enjoy some of the mundane tasks you know will be a part of the role. Recruiters can also get a better view of a candidate’s personality by asking something like, “What animal best describes who you are?” to learn which traits they value.